Collaborate in the sustainability of the school and we will send you a detailed report with the information of the results of the project. As an important and collaborative part of the project, your name will appear in the evaluation report (if you wish). YOU WILL BE INFORMED AND AN ELECTRONIC CALENDAR! Collaborate in the sustainability of the school and we will send you a detailed report with the information of the results of the project, as well as a 2019 electronic calendar. As an important and collaborative part of the project, your name will appear in the evaluation report (if you wish). Collaborate in the sustainability of the school and we will send you a solidarity bracelet, a 2019 electronic calendar and a detailed report with the information of the results of the project. As an important and collaborative part of the project, your name will appear in the evaluation report (if you wish). INFORMATION, ELECTRONIC CALENDAR, BRACELET AND PHOTOGRAPH! Collaborate in the sustainability of the school and we will send you a beautiful original photograph took in the school (in photographic material), a solidarity bracelet, an electronic 2019 calendar and a detailed report with the information of the results of the project. As an important and collaborative part of the project, your name will appear in the evaluation report (if you wish). INFORMATION, ELECTRONIC CALENDAR, BRACELET, PHOTOGRAPH, AND TABLE TOP CALENDAR! Collaborate in the sustainability of the school and we will send you a beautiful original photograph took in the school (in photographic material), a solidarity bracelet, a 2019 table-top calendar and a detailed report with the information of the results of the project. As an important and collaborative part of the project, your name will appear in the evaluation report (if you wish). You will be a member of EWS for one year, you will receive individualized information and follow-ups, and you will get a solidarity bracelet as well as a beautiful original photograph took at the school (in photographic material), and two 2019 calendars (a table-top and an electronic one).As an important and collaborative part of the project, your name will appear in the evaluation report (if you wish). Thank you for your generosity! We'll give you a personalized surprise gift. In addition, for one year you will be a member of EveryWhere Schools, you will receive individualized information and follow-ups, you will get two solidarity bracelets, a beautiful photograph and two 2019 calendars (a table-top and an electronic one). As an important and collaborative part of the project, your name will appear in the evaluation report (if you wish). Shipping to all countries. 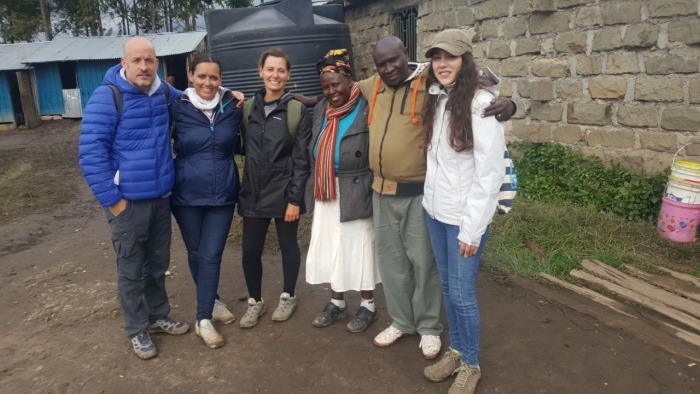 Round-trip ticket Spain-Kenya (600 euros), visa (40 euros), insurance (200 euros), transportation from Nairobi to Molo and vice versa (115 euros), basic maintenance (700 euros) and expenses and concepts retributable to the coordinator (400x4). 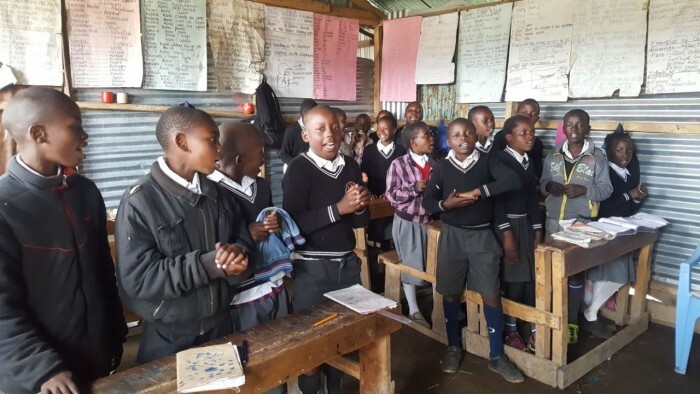 A market study will be conducted in Nairobi as well as in Nakuru County to assess what type of product is most suitable for the needs of the school. The traveling costs are included for the study. In addition, we will look for local staff to coordinate and manage the project, be in charge of administrative tasks, and others. In each stage of the project, short-term objectives will be adapted in order to reach the final goal. This budget covers the expenses for the purchase of the construction material as well as hiring personnel for the start-up of the business model. Situations of crisis or disasters force to act against the clock. EveryWhere Schools emergency fund facilitates the mobilization of staff and logistics to prevent school disruption and ensure quicker and more qualified child protection. 10% of the money collected will be allocated to this fund. 4% of the total budget goes to the GOTEO team, and approximately an additional 1% relative to the payment gateways. The cost for the minimum budget: 350 euros. Expenses associated with the initial investment of the project such as licenses, permits, insurance and other legal aspects. 4% of the total budget goes to the GOTEO team, and approximately an additional 1% relative to the payment gateways. The cost for the optimal budget: 450 euros. Costs associated with the coordination and dissemination materials of the crowdfunding campaign: posters, banners, social networks, press releases, mailing, etc. Costs associated with the different rewards. 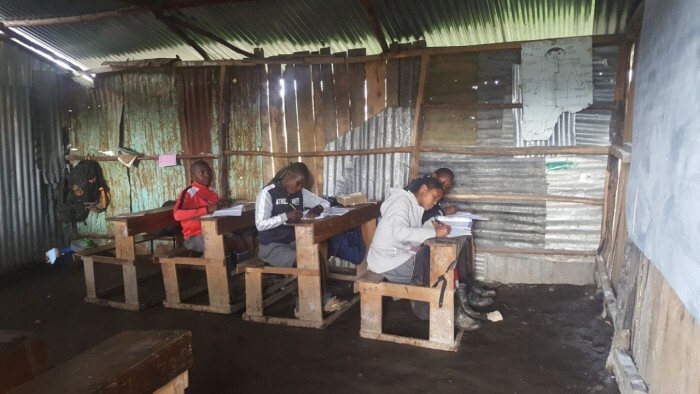 In EveryWhere Schools (EWS), an education in emergencies NGO, we want all children to learn, discover, have fun and grow in the best conditions, especially in those places where education is difficult to access, as it happens in Molo, Kenya. Therefore, the EveryWhere Schools (EWS) team wishes to implement an educational project in the Shakinah Primary School community school which is in a precarious situation. 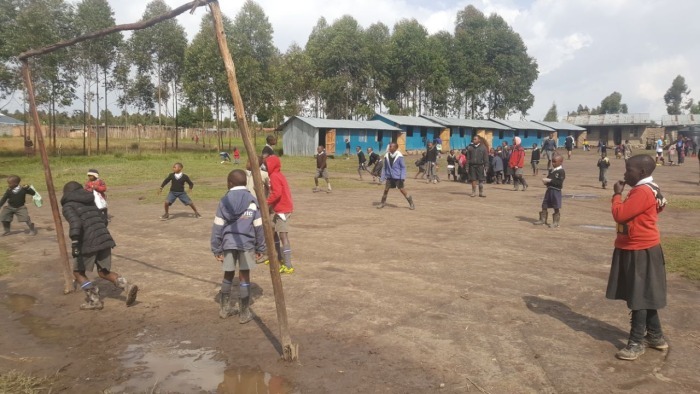 This center, which opened its doors in 2012 in the village of Kibunja, is located five kilometers from Molo and about 50 kilometers from Nakuru, the fourth largest city in Kenya. 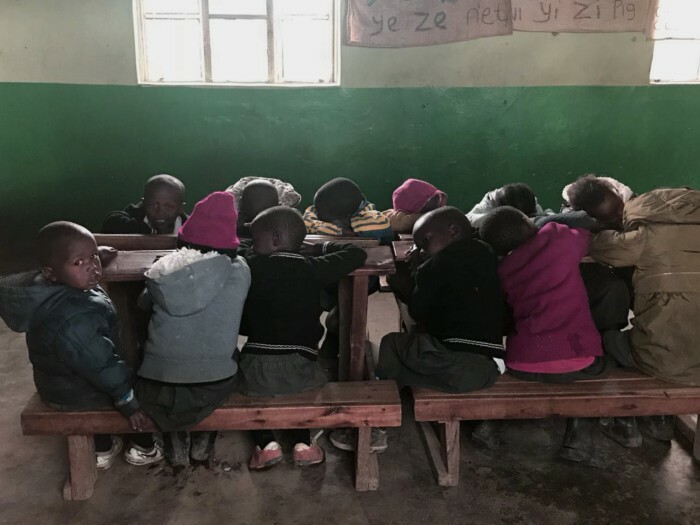 The school, founded in 2012 by the wife of a pastor of Molo, has 220 students, between 3 and 14 years old, from families with high economic needs in the town and 20 orphans received by neighbors. 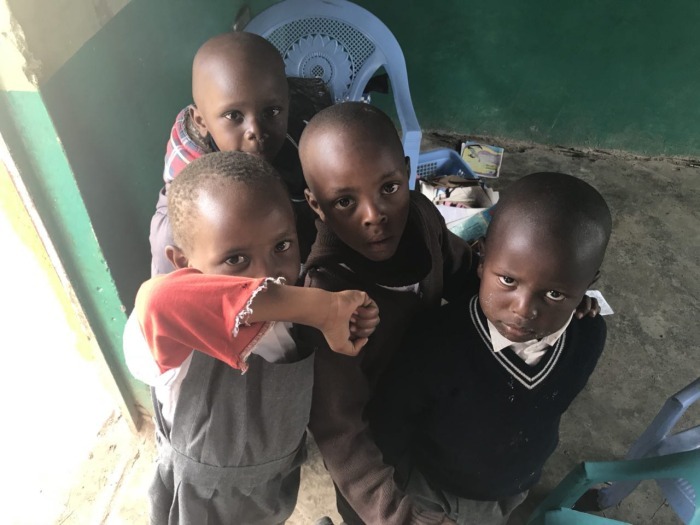 During the first years, the school operated thanks to the personal resources of its founders, but as of 2016, these could no longer face the costs of its operation, until it was about to be seized. In 2017, the organization Agua NGO managed to settle the debt. 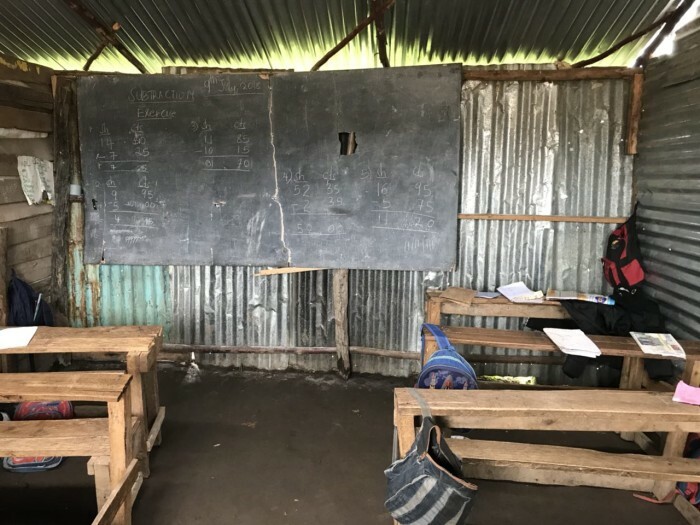 Despite the financial contribution of some families, the school is maintained mostly thanks to the contributions of Agua NGO, even a large number of students have been sponsored by their partners. The same organization managed to raise funds, and with the help of volunteers, it was able to rehabilitate some spaces, such as a chicken coop with 250 chickens, and build new latrines (in process), because the old ones did not meet hygiene minimum standards. Even so, the expenses of the school are very high, and therefore, the 11 teachers do not reach to collect the minimum salary, lack of educational material and it is necessary to remodel part of the infrastructure to comply with the security minimum standards established by the local government. To offer a quality and sustainable education, Agua NGO and EveryWhere Schools (EWS) are committed to design and implement a project which will allow the Shakinah school to be sustainable thanks to a financing model that covers all the costs of the school without depending on external aid. Only then, can we ensure its continuity in the future and that the schooling of hundreds of girls and boys is not jeopardized. 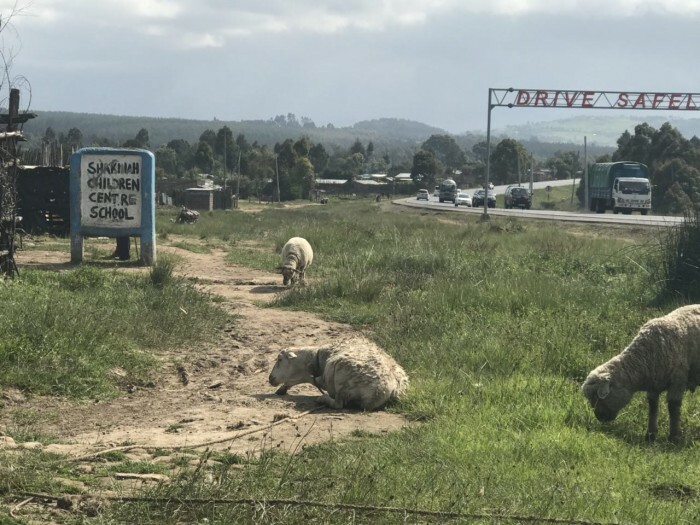 After an initial evaluation during the month of July in Molo and its surroundings to understand the needs and reality of the school, EveryWhere Schools (EWS) discovered several examples of schools with agricultural projects that would allow the school to cover its expenses. One of the proposals of EveryWhere Schools (EWS) and Agua NGO, is to turn Shakinah into an eco-agricultural school. But we want the school to be more than this, we want to continue investigating another type of project that will allow them to be more competitive and gain more benefits. We want to share our enthusiasm and desire with you. At EveryWhere Schools (EWS) we are committed to reduce school absenteeism and improve the quality of education offered. That is why we need your support, so that in the next few years, thousands of children have the educational opportunities that most of us have had in our countries. Introduce a business that provides the necessary income so that the school does not depend on external help and can be resilient, that is, that can face any problem, and empower the community. The current school menu consists of a plate of porridge as breakfast and, sometimes as lunch, a single plate of rice with a side. 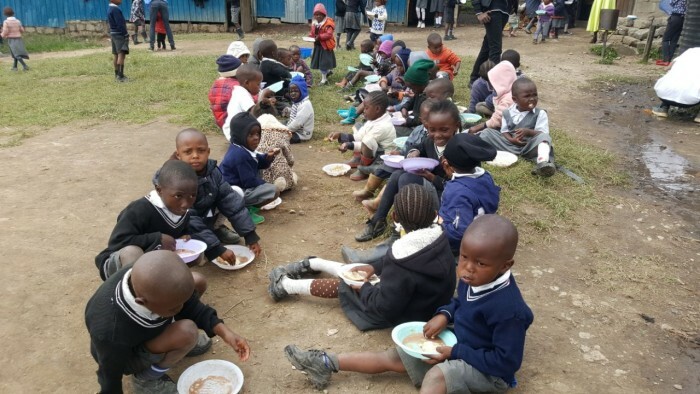 For many children, it is the only food they receive during the week. The construction of the chicken coop this summer by Agua NGO will reinforce the nutrition of the students and a small project will be implemented, such as a mini garden. The project wants to promote a link with the community and reinforce the importance of education in the society of Molo and surroundings. The creation of the chicken coop by Agua NGO or the garden, offers an opportunity for the students to learn about the conservation of the environment through sustainable ecological practices, and teaches them ethical values, as well as to be responsible. With this campaign, we hope to obtain the necessary funds to achieve the sustainability of the Shakinah school in Molo. For this first phase of the project we foresee an investment of 10,000 euros, even so a greater amount would allow us to develop this work with more margin of time and security. For this, an analysis that allows us to detect the main opportunities to achieve a self-sustainable model that allows us to obtain a suitable source of income and then implement hand-by-hand with the local community will be necessary. Once the school incorporates a model that allows it to be independent and sustainable, we will initiate the second phase of the project (not included in this crowdfunding) that will consist of the implementation of a higher quality educational and pedagogical system for the students. We bet on this project because it can change the lives of many people and offer new opportunities in the short and long term. 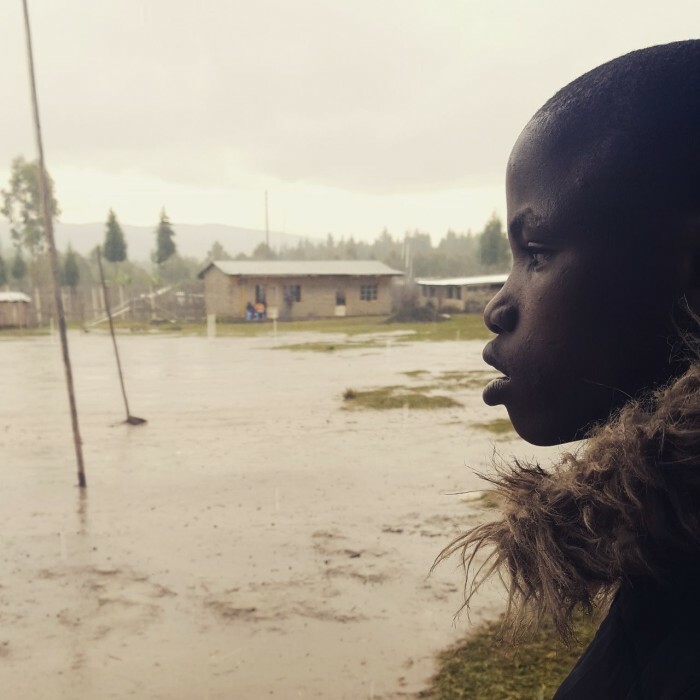 1.To the children of Molo. If we manage to minimize school absenteeism and reinforce the pedagogical focus of the school, both, boys and girls, will learn and have fun. Not only will they have an alternative to staying at home or going to work, but they will have access to a future with more opportunities and hope. 2.To the families. While their children are in school, families can dedicate themselves to work or learning. The fact that they are schooled can assure them a good diet and care, besides, it increases the possibilities for families to have a better future. 3.To the teachers. The project provides teachers with good working conditions. In this way, we will achieve a greater commitment towards the school and its students, as well as growing professionally and increasing their personal satisfaction. 4.To the community. The process of schooling has an undoubted human benefit. To educate is to equalize, integrate and include. The city of Molo will have trained and qualified citizens who bet for a just and more equitable society. 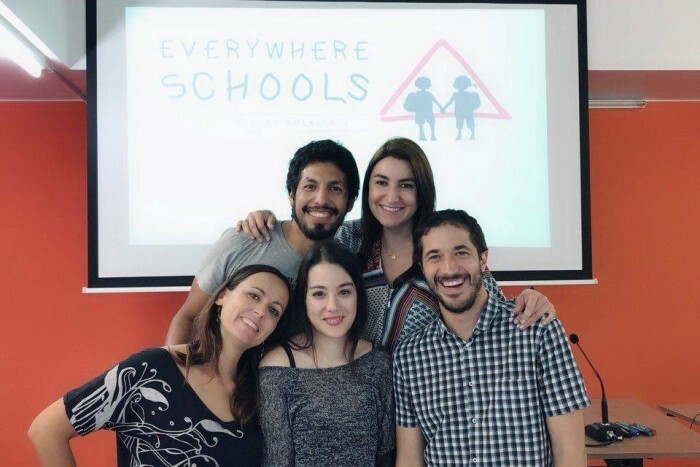 The team of EveryWhere Schools (EWS) is the union of different perspectives, trajectories and experiences in the social, humanitarian and educational sphere. The six members of the organization are firmly convinced that a better future is possible and we believe that it is precisely education that can make many children have the possibility of building a future in which dignity is the basis. 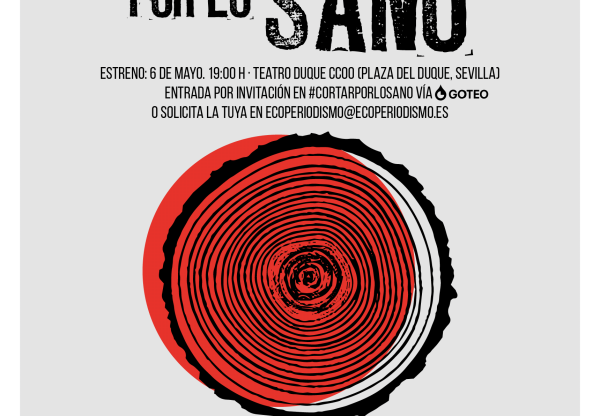 The members of the organization are: Diego Villalón (social worker with 14 years of experience in NGOs in the field of health), Salima Pérez (polyglot, specialist in Politics and Culture of East Asia by the University of Yonsei, South Korea, and in International Cooperation and Humanitarian Aid by the Open University of Catalonia and the Red Cross), Daniel Martínez (pediatrician, pediatric coordinator in Médecins Sans Frontières Switzerland and member of the International Pediatric Working Group of the organization), Patricia Viñamata (teacher in Early Childhood Education by the University of La Rioja, with 10 years of experience), Jessica Bendek (trilingual teacher, with 10 years of experience in international schools worldwide as teacher and Academic Coordinator, and technician in Humanitarian Action) and María González (Computer Engineer from the University of Valladolid, with more than eight years of experience in software and web development). We are one of the first independent international projects that specializes exclusively in offering high quality educational services for girls and boys in humanitarian contexts such as: emergencies, epidemics and disasters; conflicts and wars; extreme poverty or geographical or social marginalization. In crisis contexts, it is common to think that education is not a priority. However, experience shows that girls and boys suffer less negative consequences on their health as they resume their educational activities faster. Even in the most difficult, unstable and insecure contexts, it is possible to restore these learning spaces. Although there are hundreds of organizations dedicated to education, and the apparent interest of the international community, millions of children affected by humanitarian crises still do not have access to schools in places as diverse as Syria, Yemen, Somalia, Bangladesh, Central African Republic, South Sudan or Lake Chad area. Also those children who migrate to North America or Europe are deprived of going to school. Furthermore, during the great Ebola epidemic in West Africa, some children were left without going to school for almost two years. Our work is carried out by local communities, to identify with them what their needs and priorities are, to develop educational programs adapted to their contexts, and to always carry them out with local teachers and professors. The experience we have in humanitarian action allows us to understand how complex it is to act in areas of difficult access or where security is very weak. And the experience in education gives us the tools to be able to offer quality activities to our beneficiaries. The EveryWhere Schools (EWS) NGO wants to implement a funding model that allows the Shakinah Primary School to be self-sufficient and self-financing, therefore not dependent on external aid, in order to ensure the enrollment of more than 200 girls and boys.